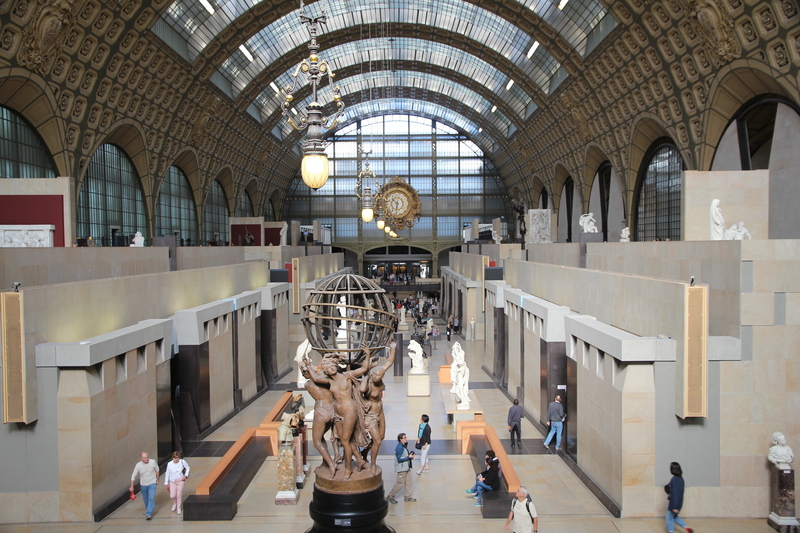 Musée d’Orsay one of France’s top museums | Where to next? Musée d’Orsay is one of my favourite museums in all of France. A sense of awe swept over me even as I approached. The building itself, a converted railway station, is massive, stylish and stunning. The collection it holds is even more so. The art, mostly French pieces dating between 1848 and 1915, includes sculptures, furniture, photography and, of course, paintings. Many of the paintings help to make up the world’s largest collection of impressionist and post-impressionist masterpieces. We’re talking the greats of the world with works by Monet (86 paintings), Manet (34 paintings), Degas (43 paintings), Renoir (81 paintings), Cézanne (56 paintings), Gauguin (24 paintings), Van Gogh (24 paintings), Toulouse-Lautrec (18 paintings) and many more. I was talking to my friend, Tony, about Musée d’Orsay a few days ago. He had a little grumble and said it had taken him 30 years to get over the creation of the museum. 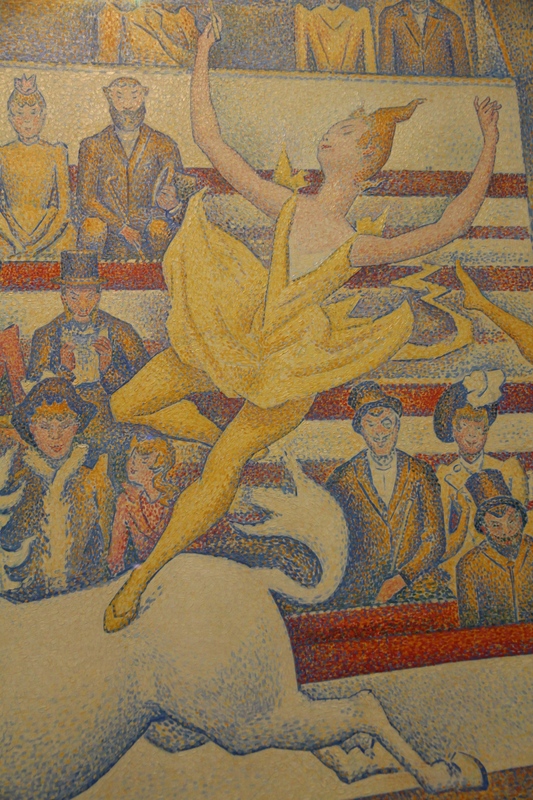 Prior to the opening of Musée d’Orsay in 1986, many of the paintings were displayed in the Galerie National du Jeu de Paume, which Tony preferred. That building, which we didn’t have a chance to visit, is now a national gallery for contemporary art. In Napoleon’s day, it housed the courts for a special royal tennis game called jeu de paume. But back to Musée d’Orsay. I’ll start with the building itself because it’s the first thing that overwhelms you. It started life as a railway station, Gare d’Orsay, which is obvious from the moment you enter. The station opened in time for the 1900 World’s Fair in Paris, and served as the the terminus for the railways of south-western France until 1939. By then, it was decided that its platforms were too short to accommodate the longer trains of the day. So it became a suburban station and centre for mail. It was also used as a movie set, temporary auction house and a haven for a theatre company. It was supposed to be demolished in the 1970s, but the then minster for culture opposed plans for a hotel to be built in its site. Luckily for us, by 1978 it was listed as a Historic Monument. At last it was decided to convert it to a gallery that would bridge the gap between the Louvre’s older art and the National Museum for Modern Art in the George Pompidou Centre (which I also love and will write about soon). A team of three architects won the contract to design the new museum’s floor space and an Italian architect was chosen to design the internal arrangement, decoration, furniture and fittings. Once the building was ready, it took six months to install the thousands of works and the museum opened in December 1986. In my opinion, the design is a brilliant success. There’s plenty of light and space, and I never got the crowded feeling that pervades the Louvre. Musée d’Orsay holds some of the biggest names in art masterpieces in the world. I’m not going to share a whole bunch of them (names or photos) here because you can go online and look up most of them. And what you find online will most likely have more information and a better resolution. But here’s a short but stunning run-down. The furniture and sculptures are incredible too, but I have to confess that I didn’t recognise all the names, in fact, not many of the names. One I was surprised to see was Sarah Bernhardt. I had completely forgotten that, in addition to be a famed actress, she studied sculpting and produced some lovely works. I was also pleased to see a bronze Pénélope by Émile-Antoine Bourdelle. I know her well because she also ‘lives’ in the Australian National Gallery’s sculpture garden in Canberra. The photographs have missed out too. Oh, I saw them, but I didn’t photograph them. Photos under glass with museum lights all around mean reflection, reflection, reflection. Interestingly, Libby told me on the telephone today that the museum’s current exhibitions include one on the prostitutes of France/Paris and another, which showcases photographs done by females. All I can say is that if you ever get to Paris, put the Musée d’Orsay at the top of your must-see list. And give yourself plenty of time—maybe a whole day (there’s a café so you won’t starve). I’m not the only one who thinks the place is worth it. Libby, the daughter who lives in Paris and who has a degree in art history and curatorship, has bought an annual membership for only one museum—this one. And a brief check of TripAdvisor shows that it is the number 1 attraction in Paris. I have to agree. I wish I could visit! Monet’s Blue Water Lillies is one of my favorite paintings, although I’ve not seen it in person. I had a large print poster of it hanging over my bed all through college. It’s interesting that the building is a converted train station. Our local natural history museum is also hosted within an old train station, Union Terminal (Cincinnati). It’s a gorgeous Art Deco building from about the same time period as Musee D’Orsay. It’s good that these buildings can find a second life after beyond their initial purpose! I hope you get there someday. It’s full of wonderful pieces. You might even find new favourites. And I agree that it’s good when a stylish building has a second life. Too much gets knocked down these days. I had to photograph and share it. Just too over the top. 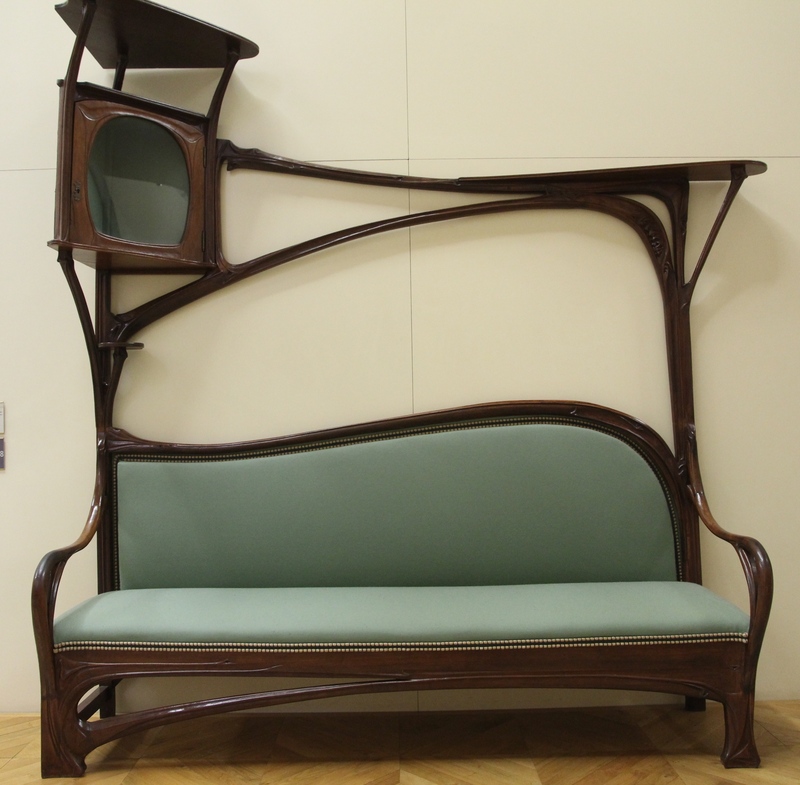 I love that Art Nouveau smoking bench! I’ve only been to Paris once (1977) but I remember being so impressed with the beauty of the metro underground. I love it too. That’s a wonderful link about the connection between Guimard and Canada. Thanks for that tidbit. The bed and smoking bench were my favourite furniture pieces. I preferred this one to the Louvre I have to say! Loved this place and all the amazing work. What I didn’t love was the 2 hour wait queuing in the sun to get in. Libby’s membership card put us straight to the front of the queue, so we were really lucky on that count. Very pleased to be able to share it. Such a gem! I only have vague memories of the museums and galleries in Paris and even lesser memories of my Art History studies at school. Thanks so much, Vicki. Means a lot coming from you—such a talented photographer. Thank you Peggy for the wonderful tour! I’m putting this museum on my bucket list. It looks like a place one could spend a lot of time lost in! Now you know why Libby bought an annual membership. Thank you so much. I feel lucky to have seen it all and to be able to share. I’m very glad you do what you do, Peggy. I adore travel blogs, particularly those with a historical slant. I do some myself, but only every so often, when we’ve been on holiday or had a day out. I wasn’t a particularly good history student, but now I like to learn a bit about the places I’m visiting. As a result, my trips include reading brochures, wall plaques, guide books and whatever else I can find to give me a better understanding and appreciation. That said, I try to keep my posts fairly short and just covering the highlights. Everybody is busy, so long spiels often get ignored. You are so fortunate to have been able to see this museum in the flesh!! I can only dream that one day I might see it. Beautiful place, and the artists’ works are incredible! Yes, we were very fortunate to be able to visit. Hope you are able to get there one day. Looks terrific and as always your words make it all the better! Thanks so much. We loved being there. I’ve been there and I intend to go there again in the near future. It’s by far my favourite museum in Paris. I got ‘impressed’ with all that… impressionism 🙂 Fabulous gallery, amazing building and high quality restaurant. What can a tourist (and art lover) ask more? Loved your post. I don’t remember some of the pieces you show here, perhaps part of temporary exhibits. I’m so glad you like this museum as much as I do. I’ll be interested to know if you see the same pieces I did. 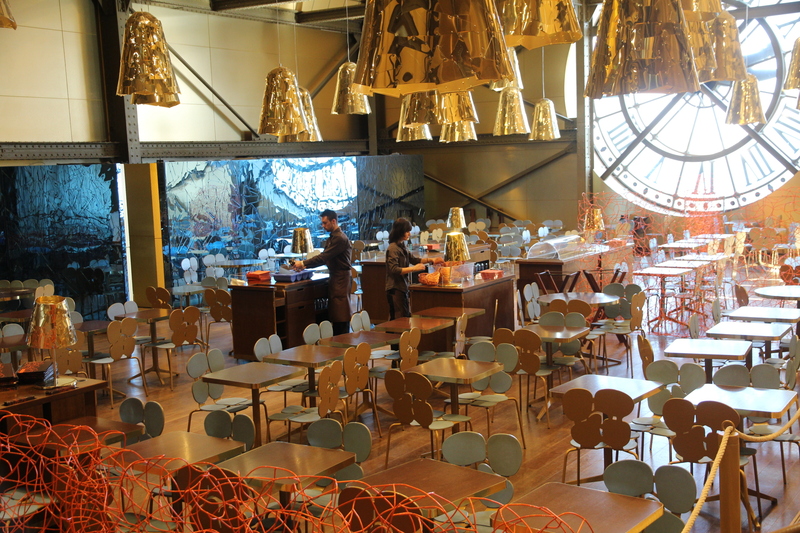 I did not visit musee d’orsay yet, it is definitely a must next time. I could not go this time as it was a Monday. But I thought we cannot take photos here. Sorry you didn’t get the chance to visit, but glad you reminded me that the museum is closed on Mondays. Many touristic places in France are closed on Mondays. 😦 But most museums allow you to take photographs. Wow – fantastique! I was in Paris recently but the weather was awful, I had very little time and wanted to chat to my much missed BFF. Next time… Your photos are wonderful. Ciao Lula! Ti ho nominata qui, spero non ti dispiaccia! What a nice gesture and most appreciated, but I will have to decline. I have had to keep this blog award-free. We travel so much and in such remote places, I feel lucky when I have enough internet connection to get a blog post done. So thanks for thinking of me, but please understand. Peggy, this article makes me want to book a flight to Paris. Aw, go on. Do it! Hi there, Was enjoying this read on my phone the other day while in the doc’s office. Thanks so much (Merci beacoup!) for this lovely summary of your visit. 2008, I was there. Love Love it! Thank you so much. Glad I could help you pass the time. Pass the time and went back in time to 2008. It was lovely. 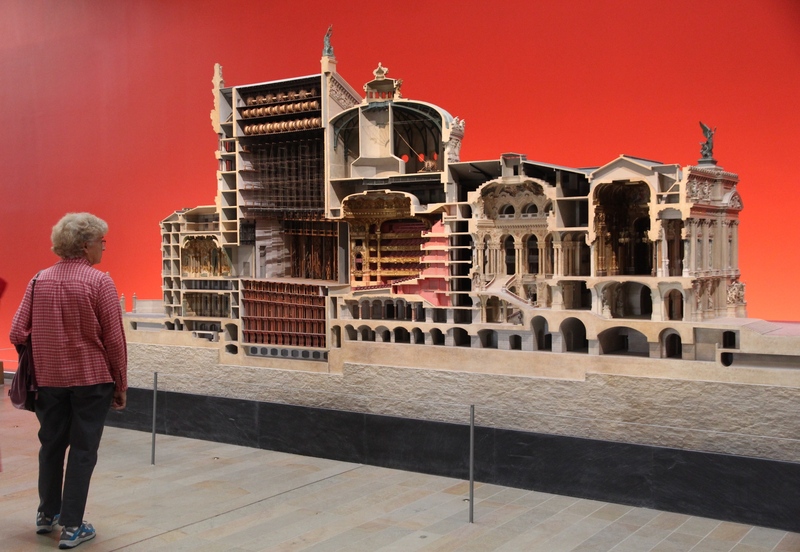 Spectacular – the building and the art! I am smiling because the last picture is about food – you know how to feast with your eyes AND your mouth! You can’t spend a whole day in a museum and not eat. I haven’t made it there yet, but it is on the list. I was fortunate to see several of their impressionist works when they were on loan to the de Young Museum in San Francisco. We saw Whistler’s Mother, and The Magpie, by Monet. Such beautiful pieces! It’s wonderful when museums and galleries loan their artworks so the pieces can be more widely seen. Hello Peggy, thanks for sharing those magnificent images. I love them. I agree wholeheartedly with your assessment of d’Orsay. I was awed by the building and the impressionist paintings. The sculpture and furniture was interesting, but it was the famous paintings hanging everywhere that I loved. Real, live paintings are so much more impressive than those photos we see of them in books. Yes, seeing the pieces in person makes a lot of difference, especially when you aren’t competing with huge crowds.